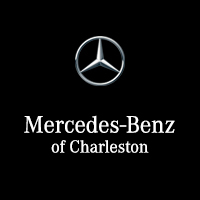 If you expect the very best, go with our new Mercedes-Benz luxury models. We offer top quality vehicles like the Mercedes-Benz GLS 550 AWD 4MATIC® and the S 450 AWD 4MATIC®. Explore our inventory below and then contact us to schedule a test drive near Beckley today! mbrace® Technology: mbrace® offers four different technology packages with capabilities like Crisis Assist, in-vehicle Wi-Fi, and remote diagnostic reports. COMAND® Infotainment System: On the COMAND® 8.4-inch high-resolution screen, get features like voice recognition, touchpad integration with fingertip writing, and more. Energizing Comfort System: Several luxury features work together for an ultimate pampered passenger experience. Panorama Sunroof: Let the sky in on a sunny day or for an epic evening of stargazing.